A strong development and growth are characteristics of a product I want to talk today. It’s a useful product as it enhances innovation and time reduction. I refer to the 3D printer, designed and used in different sectors, it’s used for the rather productions or the ingenious productions. Australia Post Office are planning to install these devices in their offices, they are available to customers a bit ‘as happened before with photocopiers. The PO collaborate with the University of Melbourne and we will try to satisfy their customers in real time, for example with the production of tools for the house. In Italy, there is the 3D printer, it tested for the first time in the ISS (International Space Station). the construction of the objects (obtained by depositing a thin plastic layers one above the other) were performed through the transparent window located in the printer itself. The American astronaut Scott Kelly, has contributed to this project, which has printed small plastic objects, demonstrating the possibility to produce in orbit tools and spare parts for missions and spacecraft. 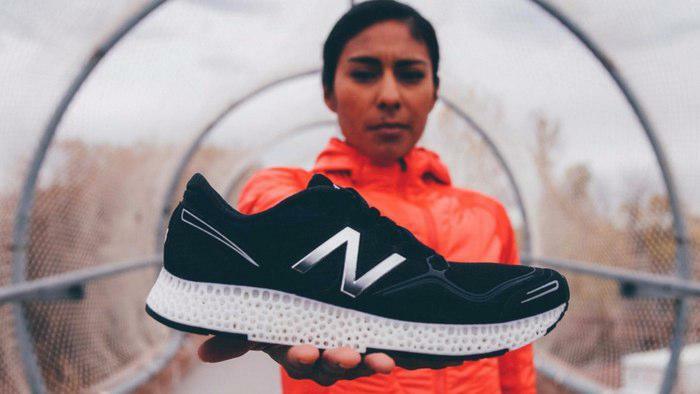 The brands such as New Balance, Nike and Adidas use of 3D printing techniques for the production of sports shoes. The SD Systems, has exploited all the 3D potential for the production of the midsole (the intermediate part between the upper part of the sole and the lower one). For the creation of the shoe, using an elastomeric powder developed by 3D Systems that, through the use of a technique called SLS (selective laser sintering), allows to realize a midsole molded to offer a better support to the foot at the points where , according to data collected by New Balance, the pressure is greater. For the creation of the shoe, using an elastomeric powder developed by 3D Systems that uses a technique called SLS (selective laser sintering). It allows to realize a molded midsole to offer a better support to the foot at the points where, according to the data collected from New Balance, the pressure is greater. 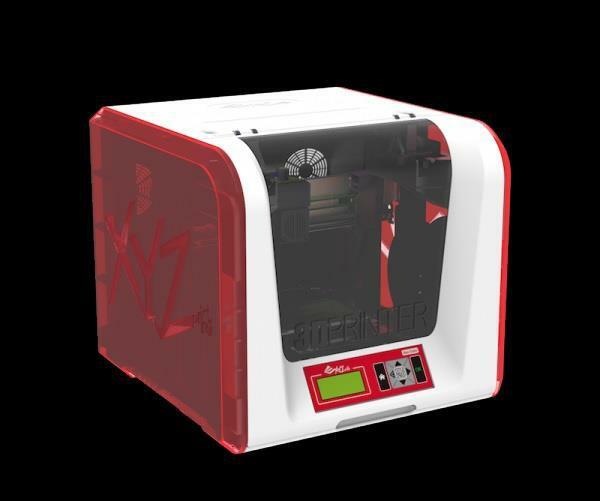 The XYZprinting, presented two models: Vinci Junior 1.0 and Vinci Junior 2.0 Mix. The first device seems an entry-level device: it costs $ 549 (about 500 Euros). It offers 3D scanners, laser engraving, and Wi-Fi connectivity. The second device costs $ 499 (€ 458), it offers the ability to print in two colors. There is also a new range of professional 3D printers. The Nobel DLP useful in the jewelry industry, and it will cost $ 1,999. While the 3D Jet is used to print of very small items and high resolution. And finally there’re the traditional 3D printers bottom-up, which create objects using more time and material with molten plastic layers. And there’s LSPc, applied in other printers, it makes the continuous printing process, since the photo-hardening resin may solidify when it is suspended on the oil substrate, reducing material and time.